So cute. Is the arabic real or just scribbles? I wish you to go there and see a lot of beauties to inspire you! Lovely sketches! 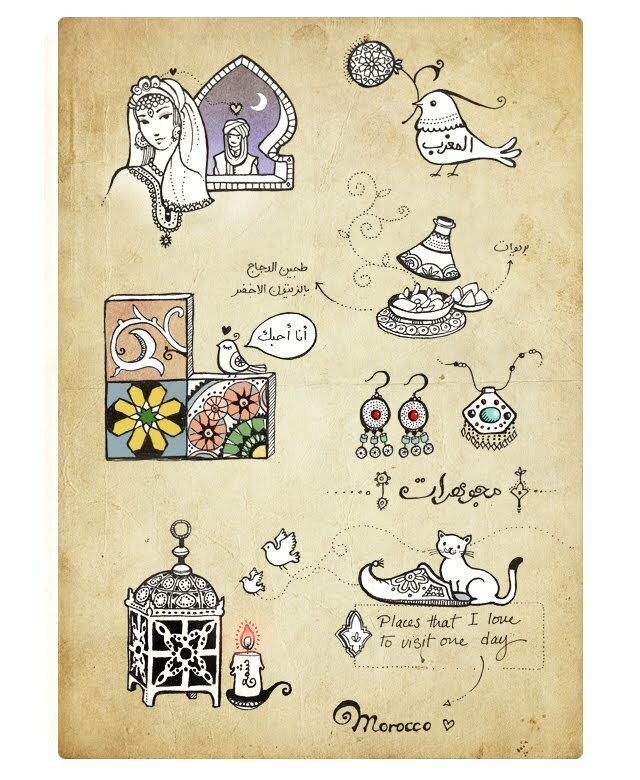 I love the arabic in the bird bubble...very cute drawings!! Adrienne: Thanks a lot :) The Arabic is actually real! My own language is Farsi and our alphabet is almost the same as Arabic alphabet, but I also got some help from my husband, he's Palestinian. The girl you draw up there is exceptionally beautiful - like every other thing you draw, I love them so much!